Enter just about any custom-built luxury home and it’s likely that the first structural element to catch your eye will be a set of elegant stairs angling or winding up to the second floor and perhaps higher. 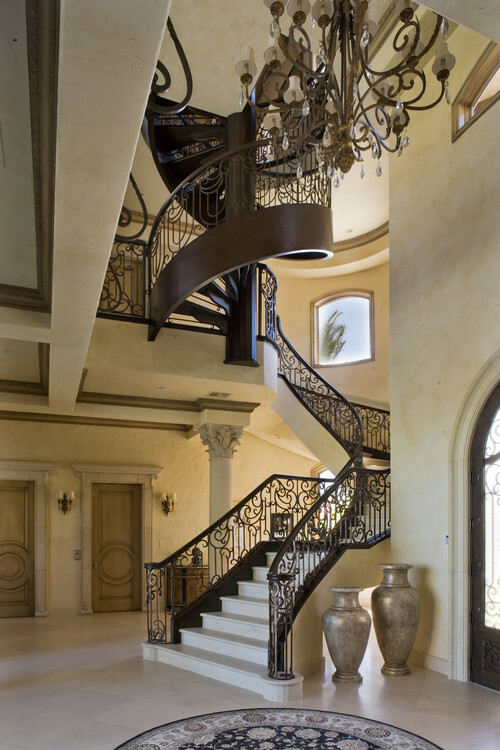 Our eyes will tend to focus on unique, customized stairways that are designed as the architectural focal point of a fine home. Such stairs tend to make people want to gain some altitude for a higher and more interesting perspective within the building. They make you want to climb them for a better view or just to be on them. There is something very special about stairs that give designers of fine residences and other buildings an opportunity to exceed their clients’ expectations. Far more than a way to get up and down the various levels, feature stairs in a home can be the structural and visual anchor of the overall design theme. In commercial buildings, feature stairs tend to be the architectural centerpiece of the grand entranceway or lobby. Areas around the base of these stairs tend to be the communal gathering point in public buildings. In homes, feature staircases can give people an immediate sense of architectural excellence. Bearing heavy loads, any staircase must be engineered for structural integrity as well as desired appearance. 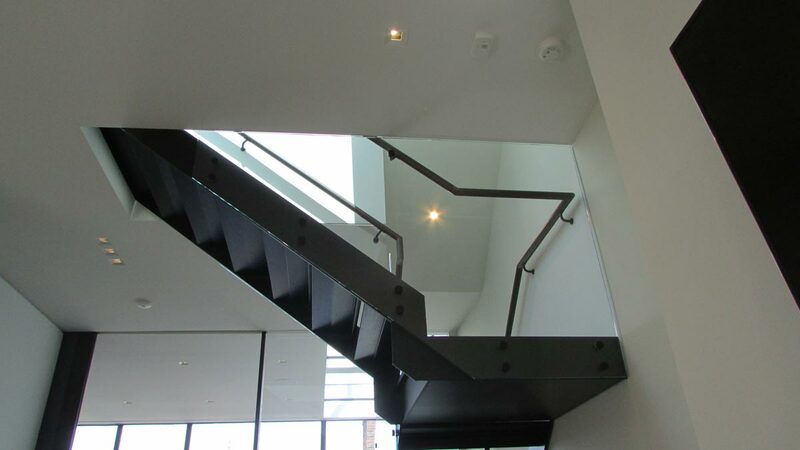 As such, strong and durable custom metal fabrications are most often required to build any kind of feature stairway. Furthermore, understanding how to tastefully integrate other building materials such as wood, glass, stone and ceramics into the stair assembly gives architects the green light to implement more creative and impressive ideas beyond basic risers, runners and balusters. Customizing the finishing details of your staircase metals, woods and natural stone provides extra artistic delights for owners and their visitors. Advanced planning is the key building truly impressive feature stairs. First, what is the style you’re going for? Is it something grand and traditional, sleek and contemporary or perhaps something edgy and fun? 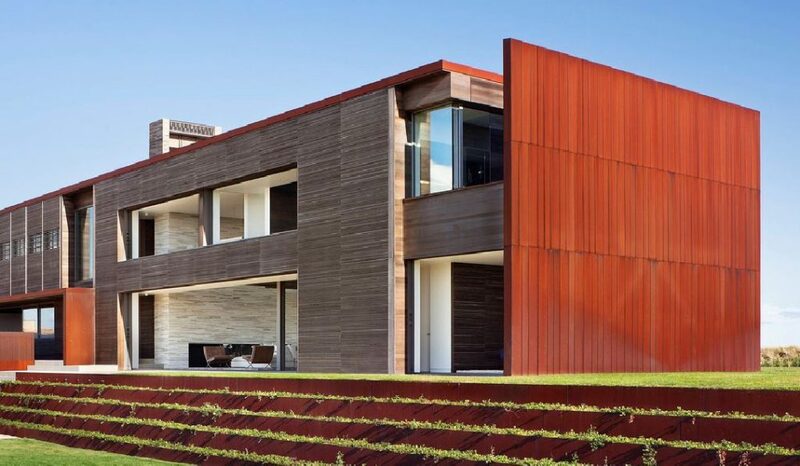 Of course, the style choices are limited only by the owner’s and designer’s vision. Then there are the functional and structural aspects of your feature staircase. You need to integrate the fixing and foundational requirements into your home design from the very beginning. Depending on the type of construction you may need a supporting wall structure adjacent the staircase, for example. It’s so important to consult with custom stair specialists who have a background in architectural metal fabrication design support. Aesthetics and flow are additional considerations to work into the design. Will you want most of the foot traffic going up and down using the feature stairs? Placing the starting and end points of your stairs may depend on the convenience preferences of the homeowner. Keep well-worn tracks like bedrooms and living areas in mind. 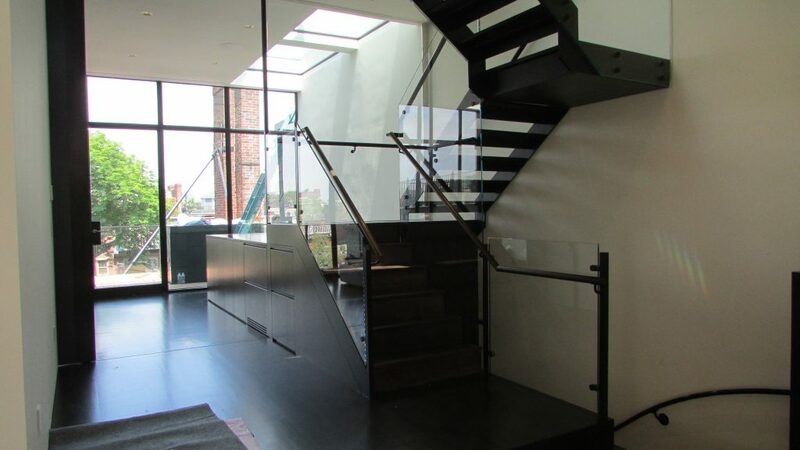 Modern Metal Solutions often gets calls from around the country from people with various questions about how to design and build custom feature stairs. Sometimes this leads to work for us and other times people simply appreciate being pointed in the right direction. If you have a stair project that you have questions about or need help with, feel free to call us at 603-402-3022. Know your finishing options for the lasting results you want. 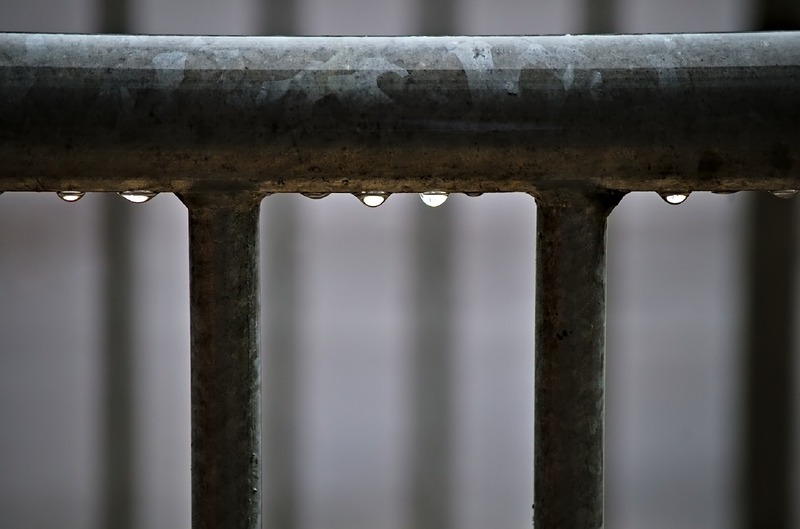 Raw metal surfaces offer various visual appearances and textures, not all of them desirable. When exposed to the elements, even dry air, most metals change in appearance. If the air is very humid and surfaces are exposed to moisture, some metals will corrode, especially the ferrous metals like Iron and steel. Copper, bronze, aluminum and other metals all react differently to the elements. Surface finishing can be either a required treatment or a desired quality feature to apply to your architectural metal surfaces. Other applications include deburring and smoothing over sharp edges. Whatever end result you’re after, make sure to work with a highly professional fabricator or metals consultant to choose the right technique for the job. 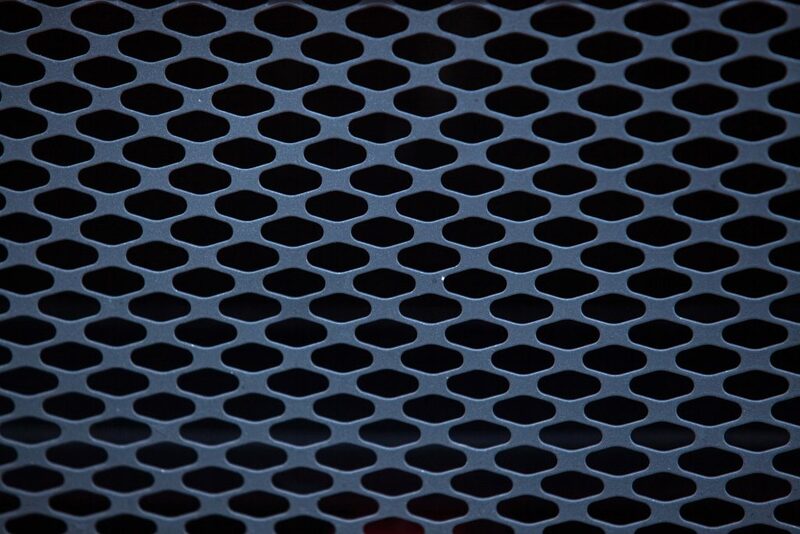 The wrong surface finish can either look aesthetically off, much to the disappointment of the designer, or fail to protect the metal resulting in accelerated corrosion and potential structural issues in the future. Vibratory Deburring – Vibratory finishing machines deburr metal components and remove sharp edges. 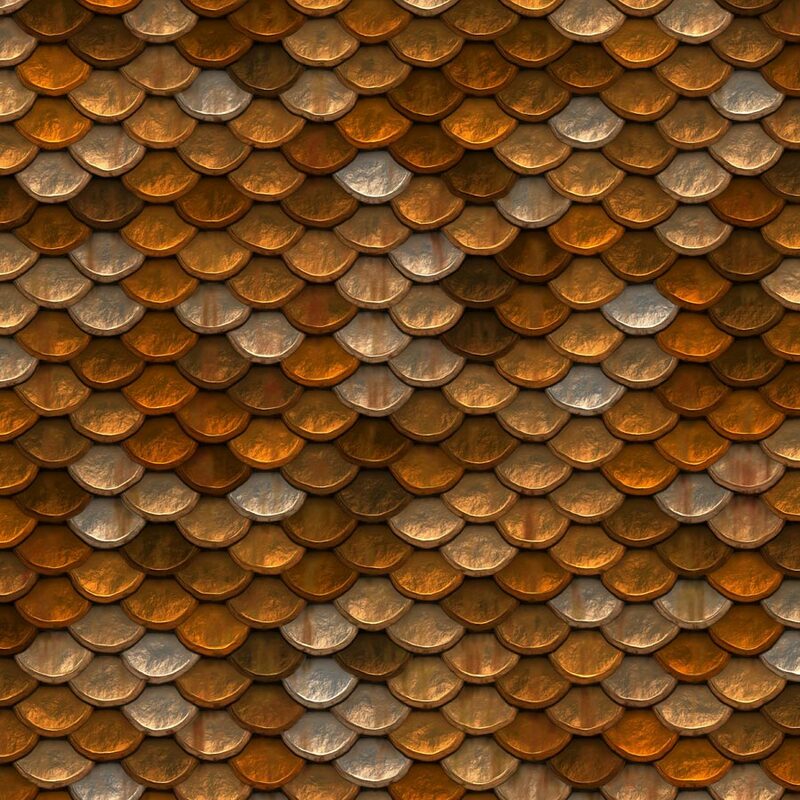 They are also used to create a uniform, random texture over metal surfaces. Metal Grinding – Various grinding machines use friction to smooth out metal surfaces for different levels of finite smoothness, from coarse-textured to smooth and polished. Painting – Metal surface painting is very common and may be applied manually or by spray machines. Metal painting is used mostly for decorating, anti-rusting and anti-corrosion. Pre-surface treatment is often needed to get the best results from paint. 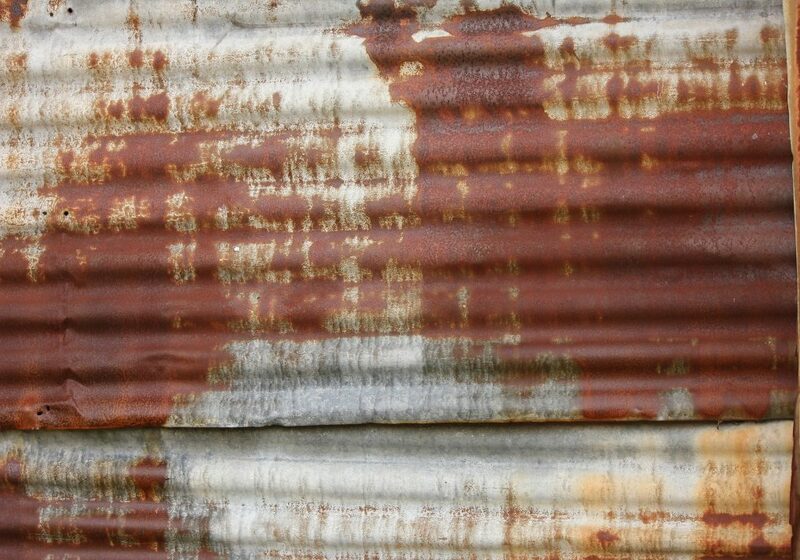 As on any other surface, metal paint will dull in appearance over time and eventually split and peel. Therefore, periodic reapplication should be in the plans. Powder Coating – Powder coating applies a decorative finish similar to paint, but with more durability. The process involves melting dry plastic powder onto the metal to produce a textured, matte or glossy coating. A textured powder-coating machine is also highly effective in covering surface defects. Metal Plating – A chemical bath or electrostatic method that coats the surface of the substrate with a thin layer of alloy. Metal plating can improve durability, corrosion resistance and exterior appearance. Plating can also come in a range of color hues to add the extra designer’s touch. Anodizing – An electrochemical process that converts surfaces into decorative, durable, corrosion-resistant finishes. Used mostly for aluminum, an aluminum oxide layer is fully integrated with the underlying aluminum substrate so it won’t chip or peel. It has a porous structure that allows for secondary processes such as coloring and sealing. It’s recommended for aluminum that will be visible and exposed to the elements or friction, especially when color is needed. Project management is another important aspect of surface finishing to consider. It’s crucial to know exactly where in the manufacturing or construction process your surface finishes should be applied. For example, sometimes it’s best to paint the metal on the job site as long as surfaces have been treated properly. Other times, it’s best for the fabricator to handle the painting, or they may choose to powder coat the metal instead. Understanding how best to protect, preserve and beautify your architectural metal surfaces will help give you the final building results that you envision in your designs. Every business foundation is built with relationships. The quote is from IMSCAD, a specialist resource company for Autodesk users. We couldn’t have said it better. This is how business is conducted in our highly collaborative fields and precisely why networking is so important for creating, building and nurturing great working relationships among all the players who contribute to the built environment. Meet new business prospects directly. Get to know, trust and send business to reliable implementation partners. Become known better for your specialty. Make business friends who become referral partners. It’s a highly rewarding practice that you can cultivate and improve through active participation in the right organizations throughout your market footprint. How much are you and your business development team doing it? Are you getting to know the key players in commercial real estate (CRE) development and major property owners in your market? Do you know exactly where to go and whom to trust for critical business services? 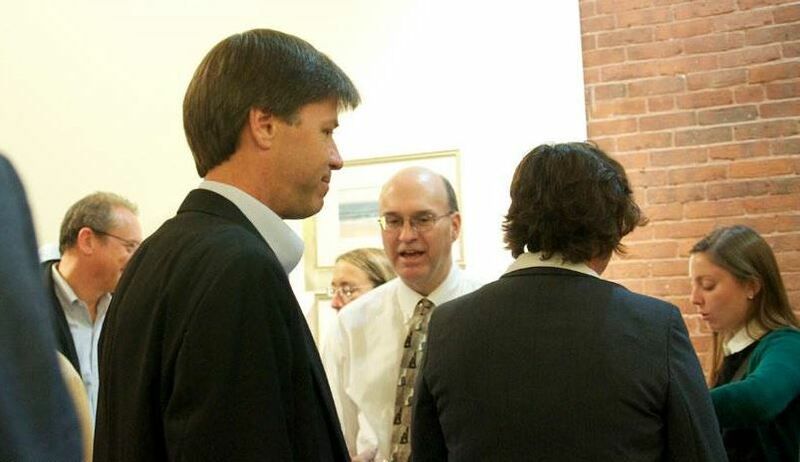 If it hadn’t been for a chance meeting between MMS and a marketing consultant at a Chamber networking event 6 years ago, you probably wouldn’t be reading this blog. 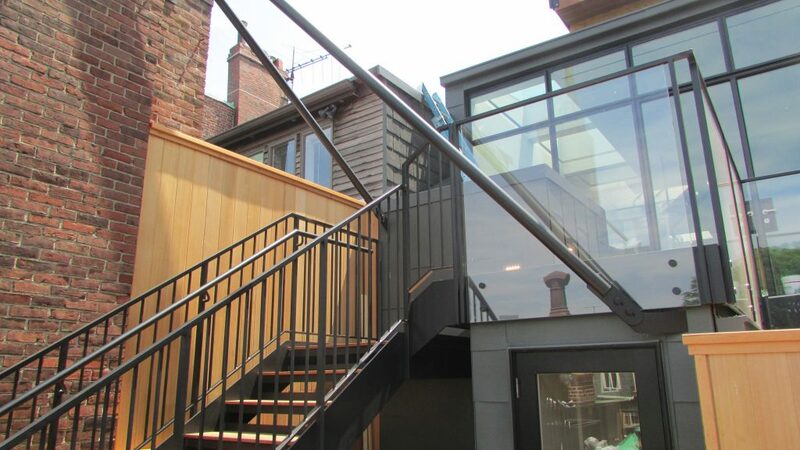 Were it not for the connections and relationships we’ve actively built over the years, we just wouldn’t be doing the kind of sophisticated architectural metal work we enjoy doing today. 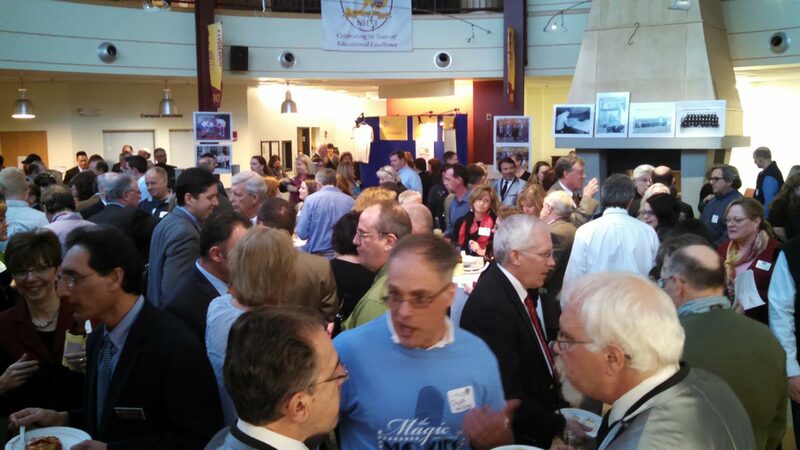 We know firsthand how well networking works! Networking works best when you keep relationships alive after meetings and events. LinkedIn, Houzz and other social media enable this to happen easily and robustly. Email is another very effective channel you can use to stay in touch with your valued connections. The key is to offer newsworthy items and valuable information that’s relevant to their interests. Finally, we’d like to thank you for allowing us to stay connected with you through our blog and newsletter. Please feel free to contact us and let us know what topics would interest you or if you have any questions about architectural metals.